It is indeed alarming to see the large numbers of advertisers who dismiss YouTube as just a tool for building brands. 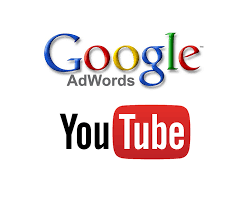 The fact is that YouTube ads usually convert and most of the times they are extremely cost-effective. Irrespective of whether you own an e-commerce website or you’re just looking for additional sales, YouTube ads definitely lead to a marketing mix. YouTube offers a wide array of video advertising options and the best ones used for conversions are the YouTube discovery ads or the TrueView In-search and in-display video ads. If you want to make the most out of your YouTube advertising campaigns, here are few tips to take into account. The length of the video plays a vital part in deciding the success of a campaign. The best possible advice is to leave off the 30 second videos for YouTube In-Stream ads. Videos which are 2-3 minutes and longer than that have the benefit of engaging the viewers and makes them spur and take action. However, that doesn’t mean that the video has to be more than 20 minutes long because that would be too long indeed. Once you upload your video, you have to tackle the channel page. Utilize the space to offer more information regarding your brand, share various links to the main landing pages and social media sites. Here you have to blow your own trumpet a little bit and also ensure that it’s interesting and compelling for the audience. For improving the rates of conversion, you should take care of the Clickable Channel Banner. Not many are there who realize how important this is but it is something of utmost importance. YouTube is way higher in the sales funnel and hence gearing keywords which are related to the discovery stage usually works best. When you set up your ad groups, make sure you opt for broader keywords and also the shorter keyword phrases. The Cost-per-View is usually cheaper than the average and hence these keywords won’t be too expensive on YouTube. You may also use your keyword tool for YouTube to obtain additional suggestions for keywords rather than relying on AdWords keyword tool. Hence, if you have been wondering about how you could drive conversion rates through your YouTube ads, make sure you follow the above listed YouTube ads tips. Know more about other ads formats that you can use to take the advantage, read here.